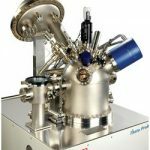 XPS Spectroscopy: Tackle the most challenging surface, thin film and interface questions with Thermo Scientific™ XPS (X-ray Photoelectron Spectroscopy) spectrometers. Our analytical innovations allow scientists on the forefront of materials science to drive bold progress in the fields of ultra thin film and nanotechnology development. 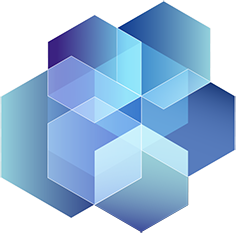 Unparalleled ease-of-use, best-in-class software and high sample throughput provide superior results for production and analytical laboratories. Whenever new questions rise to the surface, our comprehensive offering of XPS spectrometers deliver the performance and flexibility to arrive at a confident answer. Get precise results, quickly and efficiently. The compact Thermo Scientific™ K-Alpha system bridges the XPS requirements for both research and routine analysis with high sample throughput and advanced capabilities. Intuitive operation, guided by the Thermo Scientific™ Avantage Data System, makes the K-Alpha+ ideal for multi-user facilities. 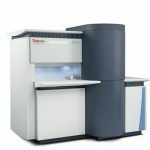 Meet a fully integrated multi-technique analysis XPS system, the Thermo Scientific™ Nexsa™ XPS System. Optional techniques besides XPS includes ISS, UPS, REELS and Raman, which opens for a deeper understanding of your sample of interest. The entire experiment is set-up and controlled by the Thermo Scientific™ Avantage Software, allowing you to easily switch between the different techniques. This small spot XPS instrument is ideal for both high-end research as well as high-throughput routine procedures. Experience high analytical performance and flexibility with the Thermo Scientific™ ESCALAB™ Xi+ X-ray Photoelectron Spectrometer (XPS) Microprobe. This system combines high sensitivity with high resolution quantitative imaging and multi-technique capability to produce high-quality survey scans in seconds. 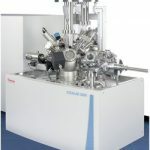 Characterize ultra-thin layers non-destructively using the Thermo Scientific™ Theta Probe Angle-Resolved X-ray Photoelectron Spectrometer System. Theta Probe collects angle resolved spectra without the need to tilt the sample, making complex thin film measurements simple and intuitive. Ensure peak performance for your next surface analysis experiment. 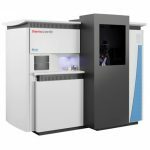 The Thermo Scientific™ MAGCIS™ dual mode ion source enables depth profiling analysis and surface cleaning of both soft and hard materials on the same XPS instrument. 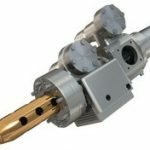 Switching between gas cluster sputtering and monatomic sputtering is handled completely by Avantage software, and can be done in a matter of seconds. For additional information about the instruments or if you wish to learn more about XPS, please visit XPS simplified.